This collection contains 10 years worth of videos from Julian Cope and Teardrop Explodes. 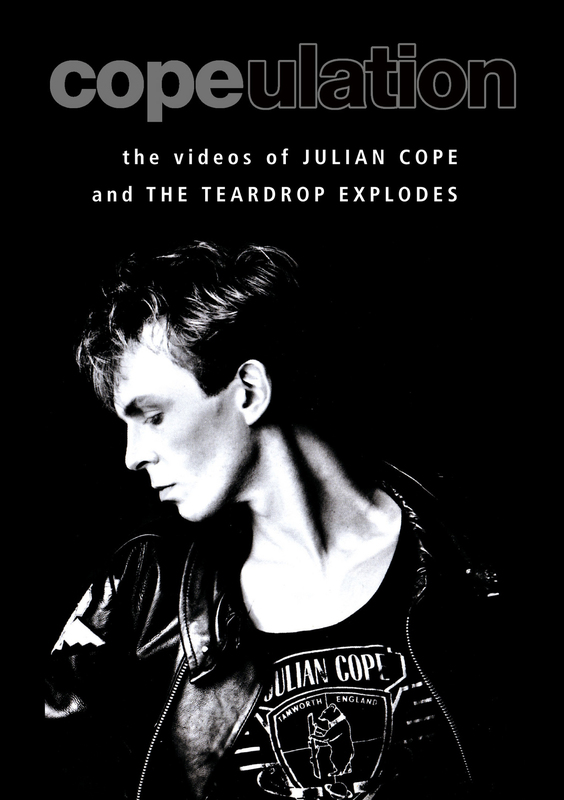 Issued for the first time as a DVD collection, the videos of Julian Cope and Teardrop Explodes display some seminal moments of genius and English pop/rock history. This collection tracks ten years in the life of Julian Cope, through times when he burnt out, rose again, burnt out, and then rose again - showing why he got the epithet "flawed genius". Beginning with his work as part of legendary UK rock band The Teardrop Explodes and continuing onto his highly successful solo career - the DVD charts the extraordinary musical and personal journey that Cope experienced during the period. Many believe that he was a weirdo pretending to be normal - but the theory of a normal guy pretending to be sub-normal and displaying genius is more than borne out by the contents of this DVD. These are the complete works of an enigma. Cope still tours extensively and will be playing the Latitude festival later this year.